A recently new addition to the spinal decompression world is known as "free floating spinal decompression". I received the mailer and I was not impressed. The first thing I thought was did this doctor go to Ace hardware and build it himself? No this is actually manufactured and sold as a piece of "medical equipment"
I have seen recent new tables like the Exten-trac elite that are build much better than this device. I am not even sure that the free floating table has a FDA clearance. I also know that spinal decompression to be effective needs to have a period of a pull and a period of rest or a ramp up and ramp down. I don't see how this chair can do this. 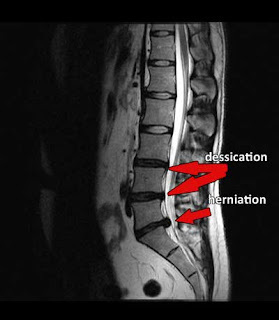 One other aspect that I see as a flaw in design is that the "chair" is keeping the patient in the seated position, this position produces the highest amount of disc pressure.I am not even sure that this can be called spinal decompression. 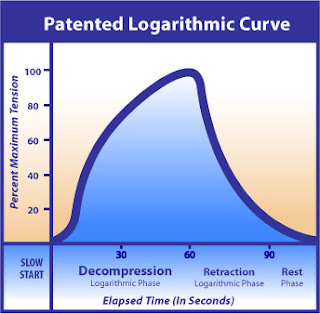 True spinal decompression involves a logarithmic curve this table can not do that. The DRX 9000, the Vax-D tables can. That is why I stick to the tried and true tables in my NYC spinal decompression practice.